Well, it’s that time of year again when kids head back to school. As parents celebrate the return of school and not having to occupy their children’s summer hours and students already reminisce about the freedom of summer, it’s important to remember that this time of year can be a great time to give back to the local community. More importantly, it’s a way to get students and schools involved. Creating philanthropic opportunities at schools is a great way to introduce the idea of giving to children and young people. From kindergarten to university, schools can be a very effective way of raising money for local organizations or international campaigns. 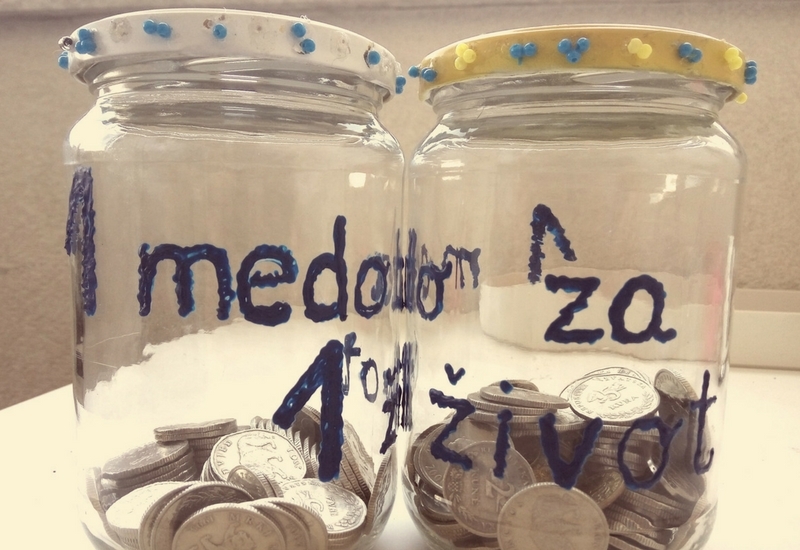 In the Balkans, there are great examples of how students have come together in order to raise money for a worthy cause. Last year, for instance, an elementary school in Gunja, Croatia organized a play with all proceeds going to flood relief in the town. Other schools have put on concerts or organized humanitarian bazaars to sell crafts to help raise money for local community groups or to help local families in need. For instance, a school in Skopje organized a bazaar for people to purchase crafts and other items in support of youth with visual impairments. And there are many other ways that students are organizing to give. Even this past June, some students in Bosnia and Herzegovina raised money around their prom to give to local children with leukemia. Instead of purchasing prom suits and dresses, students from the Pale High School donated this money (around 7,670 EUR) to help the medical treatment for two local children. We really believe philanthropy can be an easy thing to do, and this time of year brings about many great chances to be philanthropic. For one, there is always a chance to give directly to your student’s classroom. If you are a teacher or you know a teacher, you are fully aware of the lack of resources that many schools suffer from. When I was in elementary and high school, the teachers always had a list of materials that they needed for their classroom. Giving these products helped our teacher not have to worry about supplying the class with all the needed materials. Further, this type of in-kind donations could also be used to provide school supplies to students whose parents may not have the necessary resources to buy these items. Asking your student’s school to have a box at the entrance for such donations could really help out families having financial difficulties. The Parents Association in Podgorica, Montenegro ran a campaign to collect clothes, shoes, and school supplies for children in order for children in economic need to begin the school year well. There are also ways to get students involved as a collective force for philanthropy. In my high school, we had something called the penny challenge each year, with the money raised going to a local community organization to help homeless individuals. It was a competition between grade levels to see who could raise the most money. The penny challenge was a great way to get everyone involved because it wasn’t about who was most economically well off to give the most money, but it was about getting all of your fellow classmates involved in this opportunity to help. In Croatia, a professor, Dejan Nemčić, launched a campaign to raise money for children in Zanzibar, Rwanda, Tanzania, and Kenya. Nemčić was able to get over 50 schools in the country to participate in buying school supplies and medicine for children in need in those countries. Volunteering to clean up a park or to volunteer at a community group together are also excellent ways to get students involved. Or, even organize a clothes drive at the school. The school could then easily donate the items to a local shelter. A very cool program I recently heard about was actually a project where young people are invited to decide on grant allocation in their locales. Called YouthBank, this program is usually funded by a local grant-giving foundation and serves to allow young people in the community become grant-makers. The young people involved decide where the funds are allocated to and gives them a chance to participate in philanthropy in the community. Moreover, YouthBanks teach them communication and decision-making skills, and could easily be part of a school group’s activities. And these are just some ideas of how to use the start of the school year to get students involved in philanthropy. There are of course myriad ways for students to be philanthropic and we’d love to hear your ideas or experiences with school and philanthropy. Tell us your stories in the comments below!